Wonderful Custom Built Ranch Home on 2.78 Acres. Come look at all the beautiful landscaping that includes Milton Reservoir Views from the East and Mountain Views from the West. 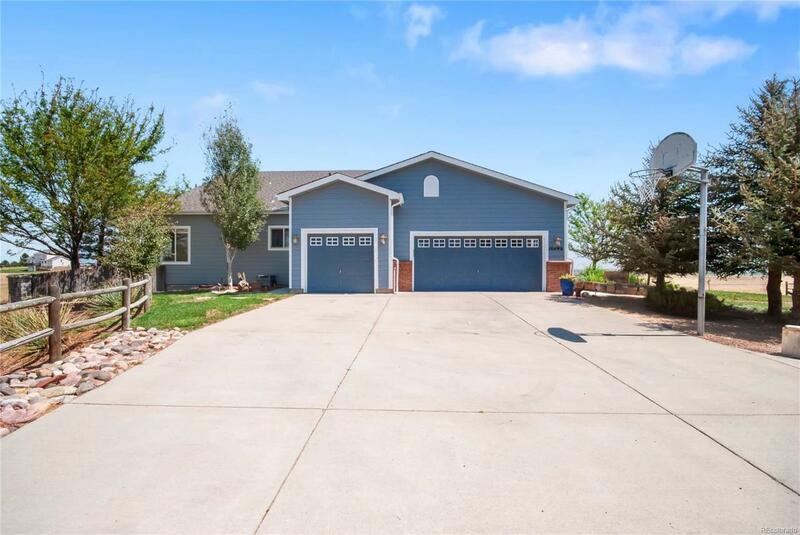 This Beauty offers 3 Bedrooms, 3 Bathrooms, Wood Floors located on the main entertaining space, Kitchen features New Appliances and New Granite Counter Tops, windows that bring in the Colorado Beauty. Master Suite is breathtaking and even has access to the West Facing Patio to enjoy our Mountain Views. Basement has a Great Room that also features a Wet Bar. Large Storage area also located in Basement that can be finished into another Master Suite(rough plumbing). Come take a look at this Paradise!! !